Astek Stud proudly announces the arrival of Spectacular Dream's Filly by Damien / Voltaire son - standing at Astek Stud. 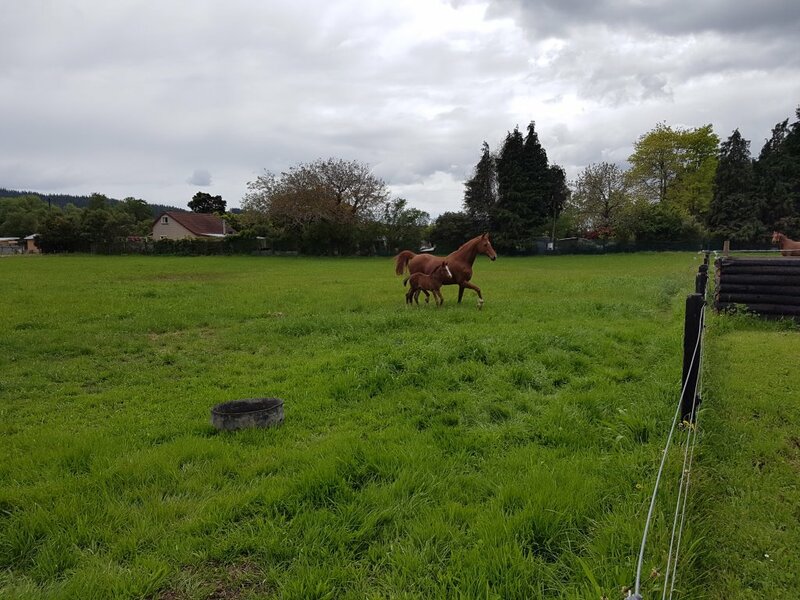 This filly is purpose bred for eventing being 3/4 TB and 1/4 WB blood. She has an amazing temperament and will be offered to a competitive home. 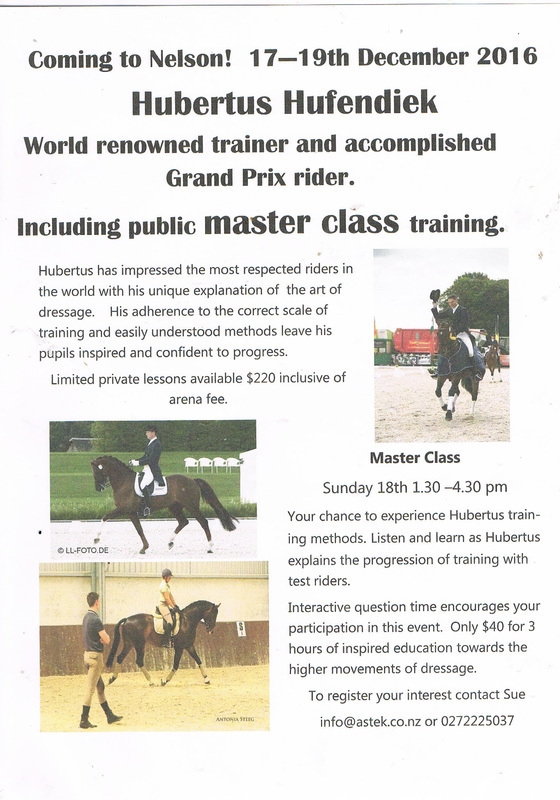 Astek Stud is very proud to host Ken at our home arena 269 Wakefield Kohatu Highway. Voltaire II has created an enormous influence on the shape of the current New Zealand sporthorse. 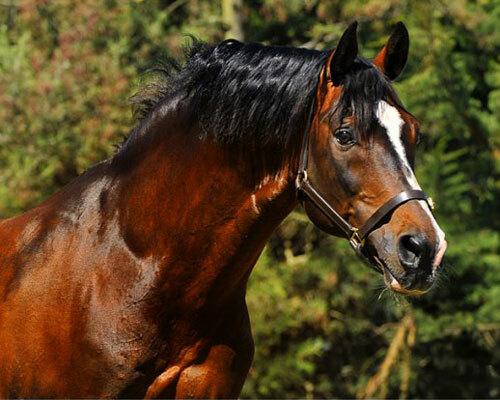 Now retired from breeding in 2015, his legacy lives on through his many progeny still competing and his broodmare daughters and stallion sons. 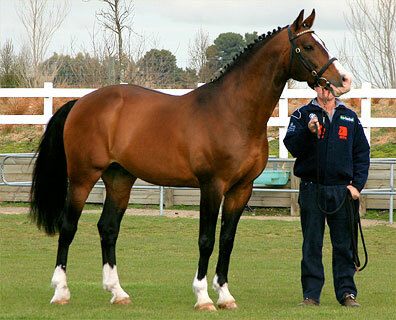 Astek Stud's foundation stallion, the Holsteiner sire "Ramirez", by world famous Ramiro Z, is now sadly deceased in late 2015 at the age of 24. RIP to this magnificent stallion who's presence will remain in our hearts forever. May his performance progeny, stallion sons and broodmare daughters continue his legacy for years to come. Seeking warmer climate and to be closer to family, Astek Stud has moved back to Nelson after spending over 10 years in the Christchurch region. Now located in Wakefield, approx 25 minutes south of Nelson city, this area is well known to Sue having lived in Wakefield previously and now grownup daughter Diana and son Michael both having been attendants at Wakefield Primary School and the Nelson Colleges. It was a huge effort to move all of the horses and belongings to Nelson, first priority was establishing safe paddocks for the stallions to move into. Gym Bello and Ramirez continue to live side by side in large front paddocks up the lovely new tree lined driveway, while Voltaire II and Quatermaster are both thoroughly enjoying their large paddocks behind the house surrounded by majestic native Totara trees. 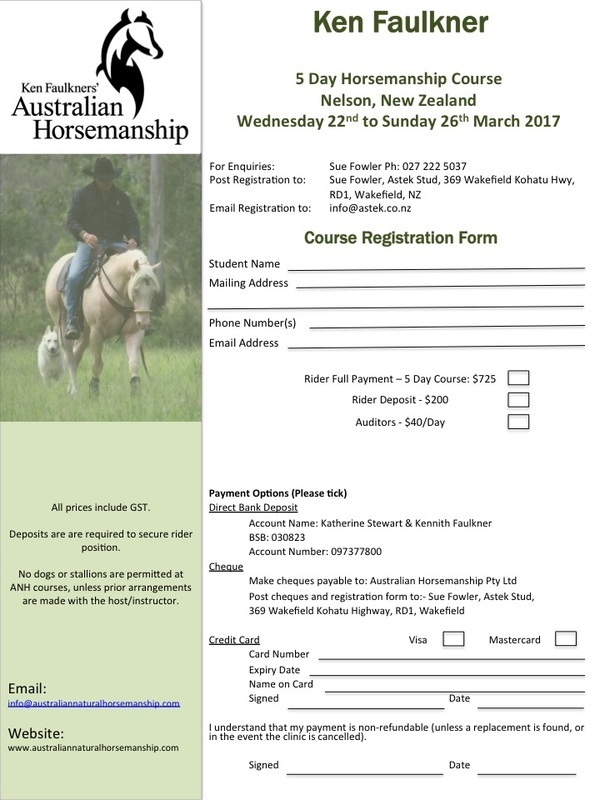 The broodmare herd has been reduced right down in recent years to now including a select few special Warmblood and TB mares, some of whom are almost due for retirement. 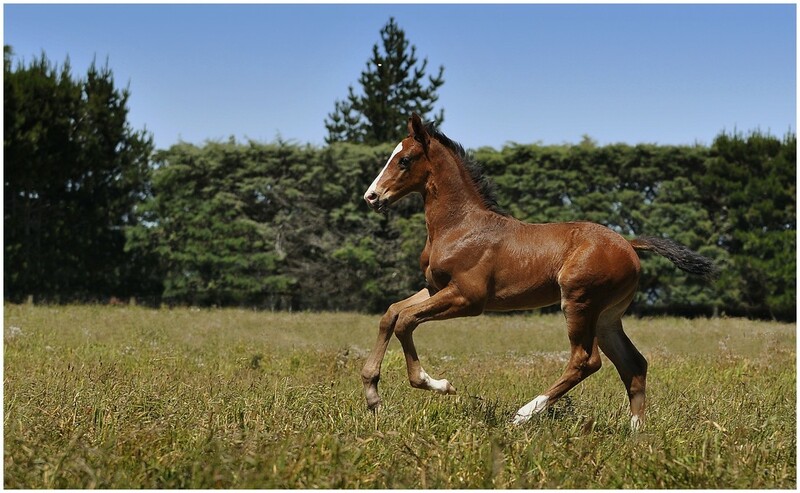 The current crop of foals born in 2014 sired by Astek Quatermaster have all been sold to fantastic homes with top riders prior to weaning which is a very exciting start for this young stallion. A large sand based all-weather arena is currently being put in place in the middle of the property where Sue looks forward to holding clinics and hosting coaches from all disciplines to support ongoing training development in the Nelson equestrian community. Broodmare and breeding services will also be available at the new residence for a limited number of outside mares. Sue is thoroughly enjoying being back in the lovely milder Nelson climate and slotting back into the great local community again.